Team Leaders are the spirited connection between the management and the operational workforce. Hiring the right Team Leaders can prove costly because they are responsible for potentially hundreds of people, millions of revenues and customer satisfaction. The shift towards flatter organizational structures, where individuals are more empowered, has placed a premium on frontline managers better known as team Leaders. Team Leaders perform very important roles in each and every organization. They set the conditions for their teams to do their best work, create a climate that is conducive to performance and job satisfaction, manage the organization’s resources, and help organizations meet their goals. 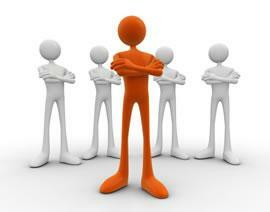 Employment Screening Services help you to hiring the right team leaders for your organization. Pick out the right candidate over the millions of competitive people. Make the difference between meeting targets and missing them. Have the most significant impact on workplace culture because they set the tone of behavior in their individual work areas. Provide an incentive for people to join a company because word gets around that people will be treated well and fairly. According to a Gallup study, 77% of engaged employees feel that their supervisor focuses on their strengths and positive characteristics. A good Team leader masters the art of making problems so it’s interesting to find their constructive solutions so that everyone wants to get to work and deal with them! AssessPeople’s BFIT is an assessment of an individual’s behavioral competencies and it’s important for hiring right Team Leaders for your organization. Designed and developed scientifically by experts in assessment science. BFIT TL measures – Optimism, Emotion Management, Persuasiveness, Persevering, Work pace, Discipline, Planning and Team Leadership. Developed through an extensive empirical study in the Indian context. Robust psychometric properties for predicting success. Easy to use report formats for analytics and norm creation. Candidate identity and authentication process. Specific norms and success profiles. Assesspeople © 2019. All Rights Reserved.